We need your help to build the definitive list of independent Canadian science podcasts! 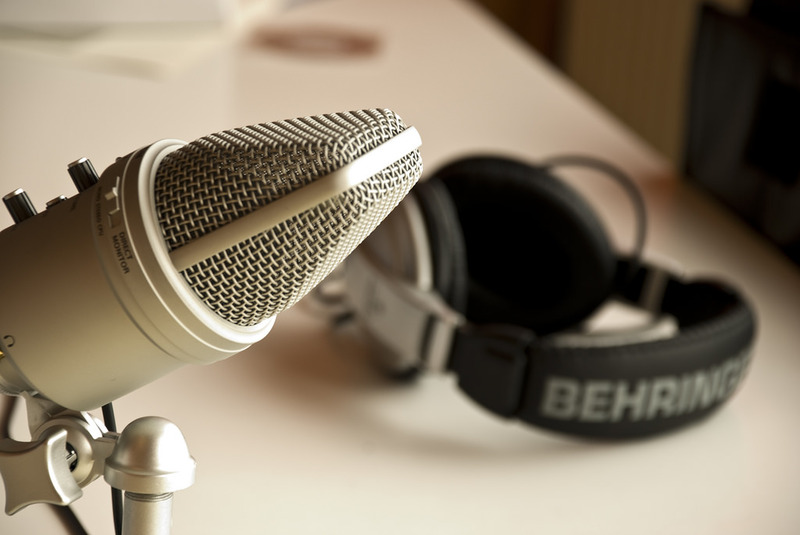 Podcasts are an increasingly popular way to create and consume science content. Why are they taking off? I think it’s because science can really come alive through storytelling. To me, a podcast is a bit like a book. When I find a good one, I become immersed in the narrative, the characters and the places they inhabit. For instance, while researching my first Science Borealis blogpost on the February 2016 detection of gravitational waves, I came across an interview with LIGO researcher Scott Hughes. In it, Hughes giddily reproduces the “chirp” sound of a black hole and becomes emotional when assessing the impact of the discovery compared to other significant moments in his life. Listening to that candid and moving interview enhanced my appreciation of the magnitude of the discovery itself, much more than someone describing how space-time can be stretched and squished. The point is, how the story is told is just as important as what the story is. Mary-Anne Moser of Beakerhead, the Calgary “smash-up of art, science and engineering” program, emphasizes this point with one of her favourite storytelling tips: “Never say, ‘she was nervous’. Say instead, ‘she bites her nails.’” Podcasts can help in revealing the little details that make science really ‘pop’. But there’s just one thing that’s been eating away at me lately: where are the Canadians? Science Borealis’ Multimedia co-editors, a.k.a. Raymond Nakamura and friends, have blogged about podcasts and even they’ve had trouble specifically promoting Canadian science podcasts. In a delightful post from February 2016, Raymond and Lisa Willemse dish up a kooky and informative how-to guide for wannabe podcasters. The only problem is that of the five hyperlinks to podcasts, one isn’t Canadian, one isn’t science and another of the links is broken, presumably because the podcast no longer exists. This isn’t an exception, it’s the norm! If you ignore popular CBC offerings like Quirks & Quarks and go digging in the iTunes top 100 charts, finding a Canadian podcast is like trying to find a needle in a haystack (or the ‘chirp’ of two colliding black holes out there in the universe). 2. Podcast must have been founded in Canada OR be recorded in Canada *Creators of the podcast DO NOT have to be Canadian citizens. 3. Stay away from those repackaged CBC radio shows! Our focus is on independent science podcasts. A list of Canadian podcasts with a science theme. Don’t see a podcast that you think should be on there? Add it using this form. Why should you care about independent Canadian podcasts, as opposed to independent podcasts in general? I think this is a valid question and I don’t really have a fantastic answer. After all, my favourite science podcasts—Radiolab, Story Collider, Flash Forward—are recorded in the U.S.
One reason, though, is that the creative act of making a podcast in Canada is one of few rewards in a comparatively small market with no money and little support. The second reason is more of a feeling that, if we can plug in our headphones to more Canadian stories told by Canadians, then there’s a chance—like with any good book—we’ll become immersed. Communication, Education, and Outreach, Multimedia, Uncategorized Airtable, Alex Chattwood, Beakerhead, CBC, communication, Flash Forward, multimedia, outreach, podcast, Quirks and Quarks, Radiolab, Raymond and Lisa Willemse, science communication, Story Collider. permalink.